This plan is open and spacious with 10� ceilings through the home; enter through a beautiful French door with sidelights and an arched transom into the Great Room.This layout is perfect for entertaining with the Great room, Kitchen and Dining area open, flowing from front to back. The Kitchen offers a walk-in pantry and plenty of cabinets. 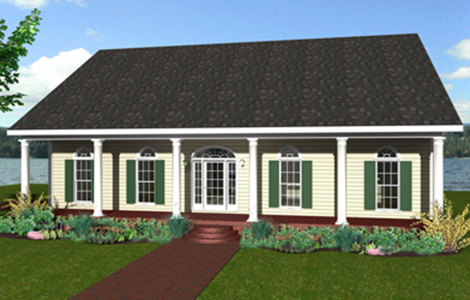 Amenities such as the raised snack bar and island are standard in this plan. The Dining area offers a great view with easy access to the covered porch.Split Bedroom layout will make this a popular plan. The Master Bedroom is private and spacious. The Master Bath has a walk in shower, whirlpool tub, dual sinks, separate toilet compartment and a walk-in closet. 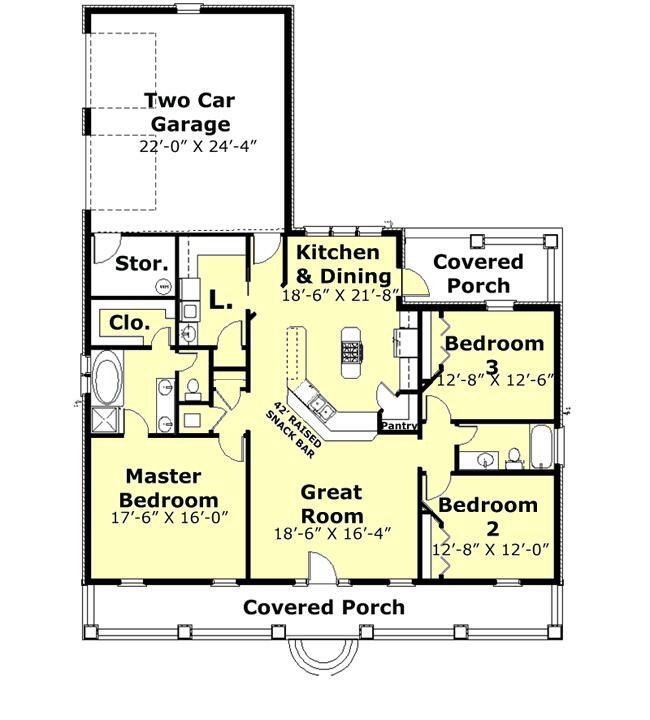 Bedrooms 2 and 3 are nice sized and share a hall bath.The laundry is large with plenty of counter space and cabinets for storage.A two car side loading garage is located at the rear of the home with easy access to the kitchen.